As the 5th in an ever-expanding set, I felt this week’s edition of Lyrics of the Week (or LOTW #5, if you prefer) needed to be a bit more upbeat. Not necessarily happy or overtly positive, but something that’s not about love. To that end I have settled upon Manchester band Elbow as the band of choice and in particular, their song Station Approach. 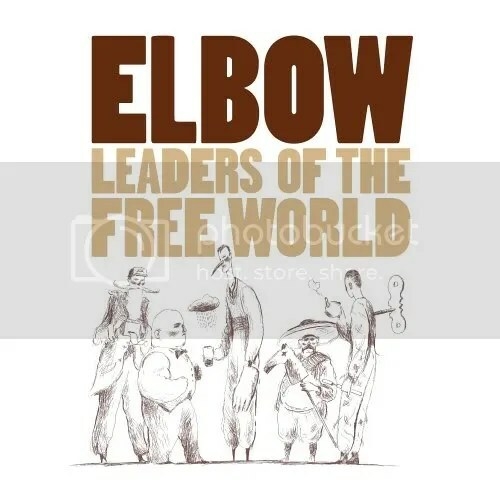 It’s taken from the 2005 album Leaders of the Free World and is an unquestionable Elbow classic. Starting with a simple acoustic guitar line and accompanying piano, it’s grows and grows as the emotion in singer Guy Garvey’s voice builds until booming drums and expansive guitars see the song through to a anthemic conclusion. As with much of Elbow’s work, the song itself is magnificently simple and is testament to the power of a good melody and clever arrangement. “I haven’t been myself of late. I haven’t slept for several days. As this may or may not reveal, this song is about coming home. Nothing metaphorical, just the simple pleasure and excitement of returning home. As a feeling, many of us know it and as a song, Station Approach is the perfect soundtrack to that event. The first two lines not only describe the feeling of displacement and homesickness at being away, but also cleverly double up to highlight the butterflies and the excitement as the time of going home approaches and lines three and four echo that sentiment. They expand on the feeling of familiarity in a brilliant and (that word again) simple final line that distils a collection of emotions into one clear and concise sentence. The picture it paints never fails raise a tiny, contented smile. I’ll admit that these are not the most poetic of lyrics or the most romantic, but that’s why I love it. It’s hard to write about happiness, but these lyrics capture a small moment of delight we all feel from time to time and the excitement we get from being with family, at home. I would thoroughly recommend not just the album from which Station Approach is taken, but also any of the records in the Elbow canon. Don’t let the Mercury Prize sway you, each album is as good as the other and you can do much worse than start with Leaders of the Free World. Clever, melodic and hugely enjoyable, I urge you to hear the unique sound of one of Britain’s best bands. You won’t regret it. Visit Elbow or their MySpace. Below is the excellent Station Approach for your listening pleasure. Simple and brilliantly driven, it’s an Elbow classic that should be cherished.